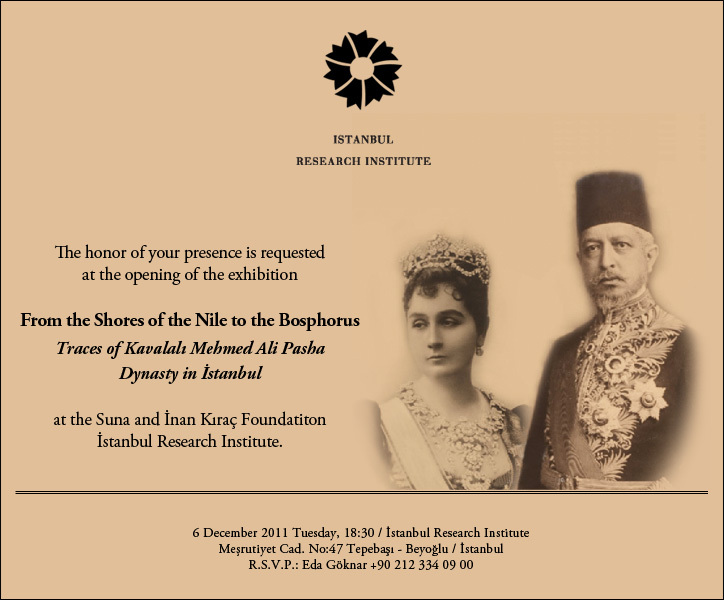 "for the first time they shall reside in Bebek Saray recently gifted by the Sultan to the Khedive"
On the European shores of the Bosphorus at Bebek stands the saray of Princess Amina Elhami a.k.a. the Khediva-Mother. Its style is Rococo with a swathe of art nouveau. This is by far the jewel in the crown when we speak of Egyptian embassies abroad. Not unexpected in view of its grandeur, this seaside saray was originally occupied by senior Ottoman courtiers making it a venue for landmark occasions and conferences. One of its last Ottoman owners was Mehmet Emine Ali Pasha (1815-1871) a senior statesman. Soon after his demise it was requisitioned from his family by Sultan Abdel Hamid. Estimated at the time at approximately 15,000 gold Turkish Liras, the Sultan offered it to Abbas Hilmi II in 1894 when the latter assumed the khedivial throne of Egypt. A few years later Khedive Abbas decided to build himself his own saray on the Asian side of the Bosphorous. Together with his Hungarian mistress-turned-wife he felt more at ease surrounded by an emerald orman (woods) at Tchibukli where from the tower of his castle-looking pavilion he overlooked the northern entrance of the landmark straits. The older saray at Bebek meanwhile became the official residence of the Khediva-Mother who was better known in her native Egypt as al-Walda Pasha. Now that she had Bebek Saray all to herself and dissatisfied with the original wooden structure which split the konak into two equal sections: salamlik and haramlik, al-Walda Pasha commissioned court architect Antonio Lasciac to introduce necessary structural changes. And since these included the addition of an annex in the garden, this necessitated a change in the surrounding landscape. Cost of the above renovations amounted to approximately 113,000 pounds suggesting the saray had been in dire need for rejuvenation! 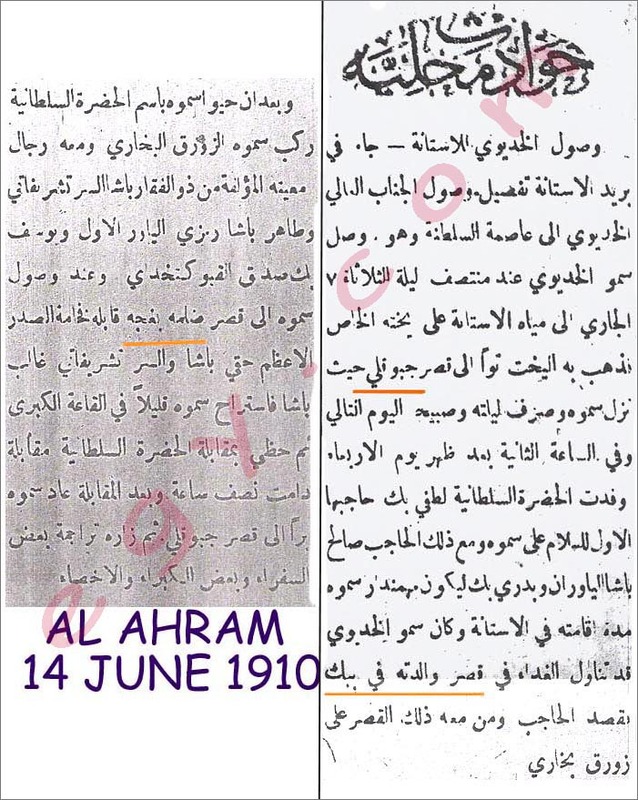 For a description of the garden we turn to the Egyptian Gazette’s 12 April 1906 issue. "The garden attached to the saray by a 'Rialto bridge' can vie with any one on the Bosphorous. They are beautifully kept and artistically marked out. A broad gravel path winds out through the great green islands of velvet award, in the middle of which are magnificent magnolia trees, whose lovely flowers diffuse their fragrance in the summer air. Besides these, nearly every plant, shrub and tree is represented; a row of plum, pear and rhododendron trees presenting a pleasing prospect of varied foliage along the long wall." Year after year the Walda Pasha summered in Istanbul. Proof of her residence was the telltale three-paired oared caique and her 63 feet-long yacht anchored in front of Bebek Saray. Occasionally the khedivial yacht al-Mahroussa would also be seen moored opposite Bebek Saray signifying Khedive Abbas Hilmi was en visite in Dar al-Saada (Istanbul). 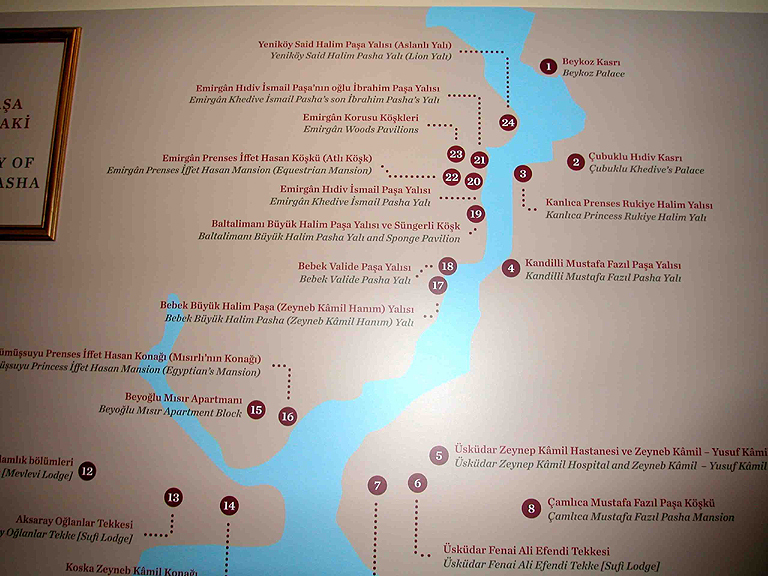 If the Walda Pasha was not 'at home' the Mahroussa would usually moor at Arnavutkoy south of Bebek. 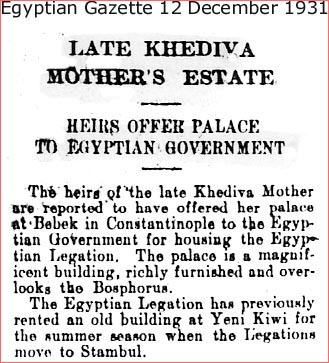 Even after Khedive Abbas was removed from the throne of Egypt in 1914 his mother continued to summer in Bebek saray up until her death in 1931. But her summers in Istanbul were not without mishaps. Taking advantage of the demise of the Ottoman sultanate, the descendants of Ali Pasha tried to claim back the palace in 1924 in a much publicized court case. 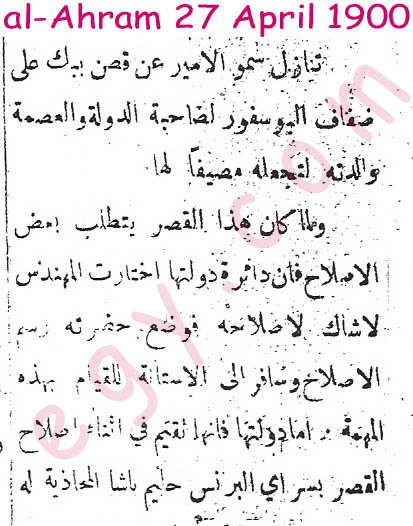 According to the Turkish press Ali Pasha's heirs had not been compensated by Sultan Abdel Hamid when he seized their maritime property. Hence their claim Bebek Saray had unjustly passed hands; the late Sultan had no right to offer what was not his to give. Amina Ilhami's lawyers responded by evoking a statute of limitations clause. Nevertheless, the legal battle dragged on much to the delight of the rising republican press and the chagrin of the aging Egyptian royal. Perhaps in order to make sure the saray would remain in Egyptian hands, the Walda Pasha requested that upon her death Bebek Saray would revert to the Egyptian government to use it as the royal Egyptian legation. But by the time she died on 12 December 1931, Turkey's venerated leader Mustafa Kemal Attaturk had firmly established Ankara as Turkey's capital. Foreign legations were asked to follow suit with the Egyptian Embassy setting up office on the hills of Tchankaya. For a while the Saray stood empty until the day the Egyptian government decided to use it as an official residence. The consulate meanwhile would remain for the next three decades in the district of Beyoglou, first on the prestigious Pera Avenue (today Istiklal) at No. 303, then at No. 69 Siraseliver Street off Taksim Square. Perhaps for budgetary considerations it was only in the 1960s that Bebek Saray started to serve its dual function as residence and consulate-general, one of the first to relocate outside the confines of historic Istanbul; Bebek was then considered a distant suburb beyond the limits of Beshiktash. Succumbing to temptations some of the new residents took to fleecing the priceless objets d'arts that festooned the saray. Two diplomats in particular made it their mission to replace authentic pieces with fakes. Aside from the wanton pilfering of the saray, someone at Foreign Affairs came up with the 'brilliant' idea to turn part of it into an hotel for Egyptian diplomats, a branch so to speak of "Nadi al-Tahrir" on Cairo's Soliman Pasha Street. The process of accelerated depreciation had gone into fourth gear. 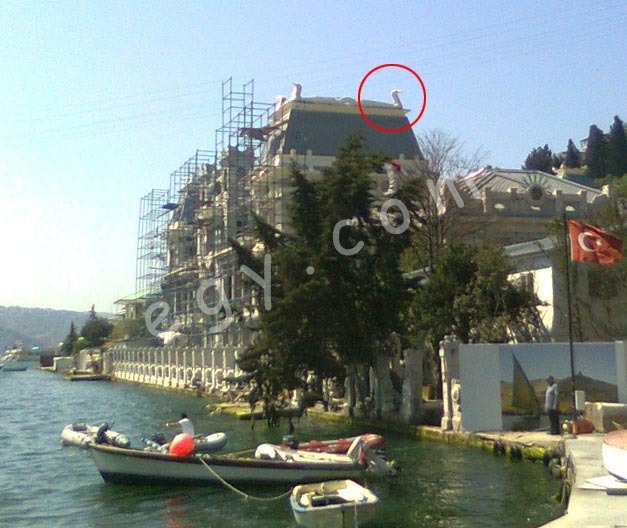 Today Bebek Saray is currently undergoing massive restoration under the guidance of architect Sureyya Saruhan and is expected to last a couple of years. The yali (Bosphorus villa) of Saiid Halim Pasha nicknamed the "Pink Yali With Lions" because of two Egyptian stone lions standing guard on the quay. The yali's architecture was western in style with empire overtones . The reception-room had Egyptian motifs. Considered one of the finest and best preserved buildings on the Bosphorus, the yali was partially destroyed by fire in 1995 and is now being restored. 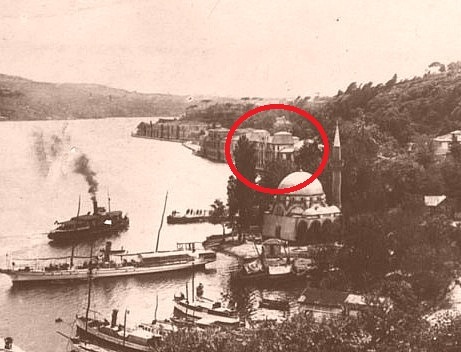 Just before he was arrested (by order of the British in March) and subsequently deported from Istanbul to Malta in May 1919, Saiid Halim Pasha, a pan-Islamist, offered his estate on the Bosphorus containing woods and a number of fine buildings for the purpose of founding an Islamic University. The offer was not taken. 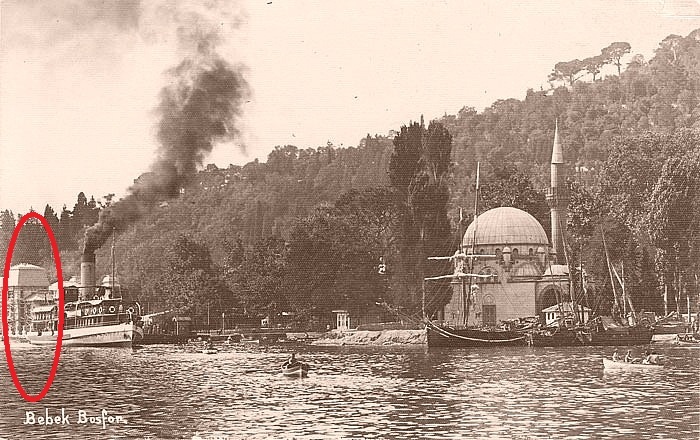 South of Yenikoy, on the European shores of the Bosphorus at Emirgan, stood the kiosk, yali and park constructed by Khedive Ismail in 1865, the same place where he died in March 1895. Emirgan Parki today consists of three pavilions: the Pink Kiosk, the Yellow Chalet and the White Pavilion, a legacy from Egypt's khedives. Also in Emirgan stands a seashore residence occupied successively by several members of the Mohammed Ali family. One of the last Egyptian residents was Princess Iffet Hassan (1876-1962), a granddaughter of Khedive Ismail. Purchased in 1944 by her brother Mohammed-Ali Hassan who died the following year, Princess Iffet herself a widow having lost her husband Ali Galal in 1922, moved in with her children Meluket and Ahmet. In the early 1950s the Sabanci family purchased the house from the heirs of Mohammed-Ali Hassan (Izzedine and Ismail) and eventually restored it turning it into a grand museum. The house is known today as Alti Kosk (Horse Mansion) after a wonderful bronze horse standing at its entrance. Almost diagonally opposite Emirgan, on the Asian side of the Bosphorus, stands Cubuklada Misir--Villa Cubuklu a.k.a Hidiv Kasri and its dependencies designed by Antonio Lasciac. These belonged to Khedive Abbas Hilmi before he sold them in March 1937 to the municipality (Beledeyesi) of Istanbul. 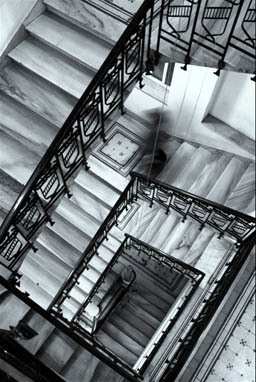 The villa was restored in 1983-84 by the Touring Club of Turkey and turned into a 14-room hotel "Hidiv Kasri". Although hidden by the surrounding woods, the villa's tower can still be seen from the Bosphorous. 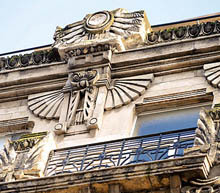 Not to be forgotten is the circa 1910 art nouveau Misir Apartment building No: 163 on what used to be Grand Pera Street better known today as the pedestrian Istiklal Caddesi (street). It was designed by Hovsep Aznavuryan for account of Khedive Abbas Hilmi. 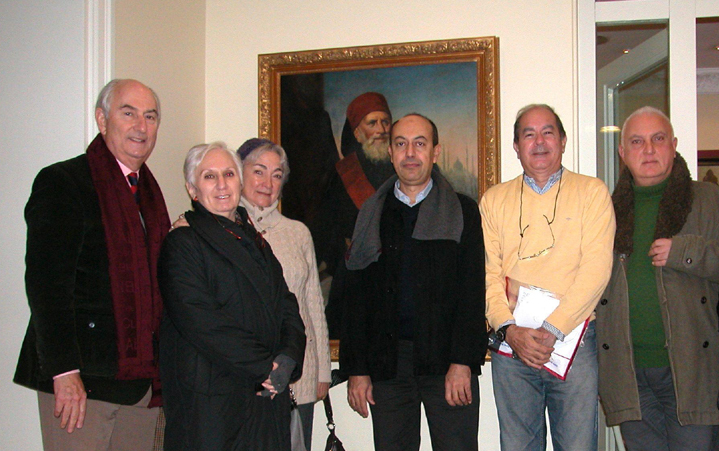 Ever since it has been home to celebrities among them Mehmet Akif Ersoy, author of the Turkish national anthem. Sold to sugar baron Mehmet Khairy Ipar in 1940, this landmark building remains a prestigeous address in Istanbul and is home to high-end galleries, eateries and the panoramic "360" roof-top restaurant. As was customary then Istanbul is referred to either as Asitane or as Dar al-Saada. 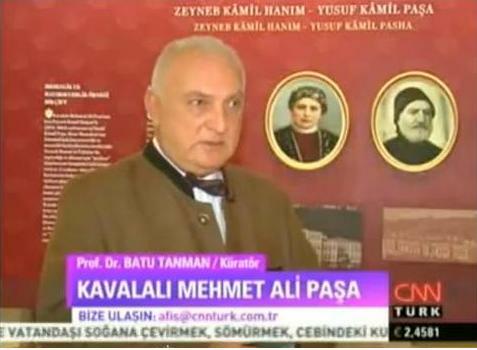 "Nil Kiyisindan Bogaziçi'ne Kavalali Mehmed Ali Pasa Hanedani'nin Istanbul'daki Izleri"